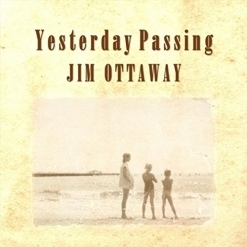 Close on the heels of winning two major Zone Music Reporter Awards this year, Australian composer/ multi-instrumentalist Jim Ottaway returns with Yesterday Passing, a collection of fourteen original electronic pieces that capture thoughts and emotions of his past, memories of family and friends, and the simplicity of older times. 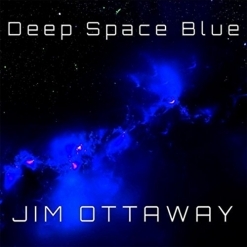 Ottaway was awarded “Best Ambient Album of 2017” for Deep Space Blue (which was also nominated for “2017 Album of the Year”) and “Best Electronic Album of 2017” for Timeless e-Motion by ZMR; Deep Space Blue also received the silver medal in the Ambient category from Global Music Awards. Yesterday Passing is Ottaway’s twelfth international release and his twenty-fifth album since 2004. The music on this album doesn’t often fit in the ambient category and shows a different side of Ottaway’s music. Electronic instrumentation with strong melodies and catchy rhythms drive the album, which is not only beautiful, but is thoroughly enjoyable from the first note to the last. More than once, I’ve been reminded of some of Ray Lynch’s most memorable music, although I’m not making a comparison. Ottaway excels in a variety of genres of music and often composes for film and television. Yesterday Passing is very likely to be on my Favorites list for 2018! It’s a great album from start to finish and I very highly recommend it! It’s available from Amazon, iTunes and CD Baby.